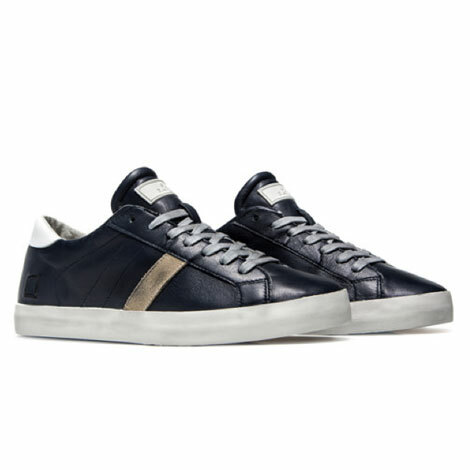 Low Sneakers in nappa leather color blue. White leather side band detailing. White leather back inset. D.A.T.E. label in rubber stitched on tongue. Gray cotton laces. D.A.T.E. script logo embroidery at lateral side. Leather and cotton terry lining. 25 cm comfort fit raised insole. Rubber sole. A special treatment gives the item an unusual vintage effect.